Providing engineering careers to driven and skilled individuals. Our engineering jobs in the North East of England help supply our products and services around the world. Ford Engineering are an award-winning specialist in the high precision machining and precision component manufacturing for the Aerospace, Components and Laminated Products industries. Our businesses provide a first-class, make-to-print turnkey service to a broad range of customers. With our foundations established in 1910, we are a trusted name within a wide range of aerospace engineering industries both at home and overseas. If you choose an aerospace engineering career with us, we provide a supportive working environment and help you develop your existing skills and knowledge, as well as putting the tools in place for you to expand your abilities each day. There are always opportunities for you to develop and progress your career with us, with a dedicated training team who will mentor your learning and development careers process. With a strong family heritage, we believe we have a responsibility to nurture and educate our existing staff as well as create opportunities for the future of Ford engineering jobs. Because of this, we have developed several internal initiatives including the Ford Engineering Academy. If you would like to find out more or apply for an engineering role in the North East, please send your CV and covering letter stating current salary to: Ford Engineering Group, East Side, Tyne Dock, South Shields, NE33 5ST. You can find out more about the most up-to-date roles we are recruiting for by looking at our ‘Current Vacancies’ here. A company is only as good as its staff and for a business to succeed it must invest in its people, and that is exactly what we have done time and time again. We have always been committed to supporting career opportunities available to young people in the North East. An ideal example is our partnership with the highly regarded Gateshead College, who run the Ford Engineering Academy at their state of the art training facility at SASMI (Skills Academy for Sustainable Manufacturing and Innovation) at Nissan UK’s premises. The first intake of trainees will take place in September 2017, and Open Evenings are planned to be held at SASMI on 1 March and 3 May to which Year 11 students and their parents will be made most welcome. 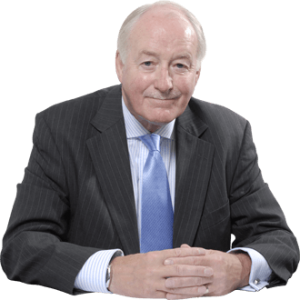 The academy was inspired by our Chairman, Geoff Ford MBE, and aims to identify talented youngsters, with the right attitude and the ability to work in component manufacturing addressing a sector skills shortage and creating workforces for the future. Everyone who attends the Academy learns a range of employment skills, including basic numeracy and literacy, as well as understanding the expectations of the world of work. Ivan Jepson, Gateshead College’s Director of Business Development, said: “ The North East has a reputation for excellence in engineering and Ford, in particular, is recognised worldwide as one of the major players in the precision engineering industry. Watch the Creative North Video below, to see what it is like to be an Apprentice at Ford.